Contemporary avant-rock duo KIRINJI formed in October 1996, in Tokyo,Japan, when brothers Yasuyuki and Takaki Horigome (both Guitar/Vo, respectively) started writing songs together. It did not take much time for their well-kneaded sweet melodies to capture much of attention and respect from surrounding artists and audience. The lyrics that are so original, beautifully harmonized vocal which only these brothers can create, and their well refined productions immediately created the one and only ‘KIRINJI world’. 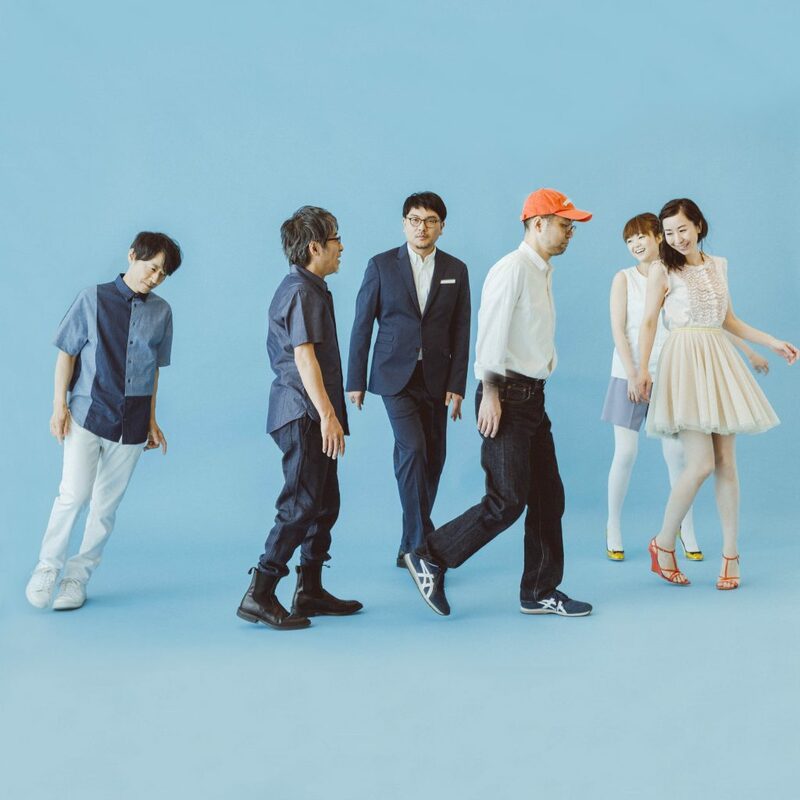 They soon successfully established themselves in the limelight of the ‘J-pop’ scene in Japan, as their self-titled “KIRINJI” album made an indie debut in 1997. In the following year, 1998, the duo decided to make a major debut with Warner Music Japan, after an offer-scramble by many record companies. In the year of 2000, their 3rd album “3” which included their masterpiece ‘Aliens’ made a smash hit in charts everywhere in Japan. In 2003 KIRINJI signed with TOSHIBA EMI, and in November of the same year, the duo made a 7-city-nationwide-tour, that ended up packing the venues all throughout Japan, including the phenomenal Budokan Hall in Tokyo. In 2005, while remaining on a musical quest, the brothers decided to move onto another record company, Columbia Music Entertainment to start each solo work: Yasuyuki Horigome made a solo debut with “Uma-No-Hone (Horse Bone)” project in June. Later in November of the same year, Takaki Horigome released his solo album. It is still fresh in our memory that the revealing of their individual work did actually represent the most coherent articulation of the duo—ever since then, their sounds developed considerably, and their sense of musical expression made a vast stretch, as their acclaimed album after 3 years “DODECAGON”(released in October 2006) had proven so. It was never difficult for the dedicated KIRINJI fans to confront the opening of KIRINJI season 2 in the album. The Album presented a brand new world of KIRINJI with plenty of electric elements added to their ackowledged sweet organic song writing. In 2007, KIRINJI went on the monthly download single release project on line. Starting the project with the single Vol.1, ‘Kimi-No-Kotodayo’ out in June, KIRINJI consecutively released Vol.2 ‘Ladybird’ in July, followed by Vol.3 ‘Jonathan’ in August, Vol.4 ‘Kyomo-Darekano-Tanjobi’ in September, Vol.5 ‘Tandem Runaways’ in October, Vol.6 ‘Greyhound Man (Acoustic Ver. )’, and Vol.7 ‘Ieji’ in December. The project was coupled with the special package campaign, which was created in collaboration with the stationary brand <DELFONICS>. After each single was released on line, the song was enclosed in a single CD along with a selected stationary item, and was sold at exclusive locations on the 25th of every month. The campaign was immediately covered by papers and magazines, created a buzz in the industry. In 2008, KIRINJI was ready to celebrate its own 10th anniversary with another campaign. This time, the band was commited to work on consecutive releases within 3 months, under the campaign title ‘KIRINJI 10th Anniversary 2008’. Starting the the campaign with “KIRINJI PREMIUM LIVE 2007 at Hibiya Open-Air Concert Hall” DVD out in stores on the 1st of Jan, the band released “Asayakewa-Ameno-Kizashi” in February, the marvelous mega-single that enfolded 11 recordings, followed by their 7th full original album “7-seven-” in March. Then the band decided to get back on the road. The tour was titled ‘KIRINJI 10th ANNIVERSARY TOUR 2008’. Being awaited by the fans for 2 years, their aggressive performance made a huge blast city to city, all throughout Japan. As the anniversary year was coming towards the end, on the 10th of December, the band finally released the first time ever best album titled “19982008 10th Anniversary Celebration” (2CDs in a set) over the hedge of labels. All 3 shows in Tokyo were done so well soon after. In 2009 was the year of solo works for both Yasuyuki and Takaki, KIRINJI unceasingly released their works in various forms. On the 5th of August, DVD + CD which recorded the 2008 Year End show “KIRINJI 10th Anniversary Special Showcase Final @ Billboard Live TOKYO” came out, along with a download single ‘Serene-No-Serenade’ available on the same day. On the other hand, Takaki kept himself busy playing in his other project <the granola boys>in summer festivals and venues in Tokyo, while Yasuyuki released his 2nd album “River” under his solo project <Uma-No-Hone> , toured through out Japan. On the 9th of December, KIRINJI made a download single “Chiisana-Otonatachi”. A couple of days later, the band did a show at Billboard Live Tokyo, and was completely sold out. In September 2010, a summer pop tune tribal dramatic as if reminiscent of sunrise in midsummer was released as Sg leading light “summer” contains the original album’s first eight total in a half about two years “BOUYANCY” the market. The largest ever national tour performances ranging Kirinji / 25 or 22 stations nationwide ~ Sapporo to Okinawa ranging from 10/31 year 2011/1/22 “KIRINJI TOUR2010/11” held, not only fans all over the country Kirinji, national music Invitation to the vortex of fan frenzy, and was groan. In 2011. Charity single earthquake earthquake produced through a most sadness feelings in the chest 3.11 “new friends” distribution limited to 7 / 20, 10/19 is a collection to provide a set of two songs, including the first self-cover “SONGBOOK” also On the same day and released on KIRINJI LIVE2011 [Osaka Tokyo] held. Showed a live performance with a sense of stability. Its appearance was the play feel you have reached the perfect balance of space and motion as an artist right now quiet. In 2012. 5/31 “inure norouna” 6/27 “namidani akitara” Released . Anyway , important msg to Yasuyuki Horigome of Vo/Gt on October 15, last year in the middle when I built such a for many years original stance after release in consecutive delivery singles when “I get tired of tears”. Did the content with older brother / tall tree with a last performance of KIRINJI TOUR2013 to hold this spring for many years; “Kirin was a thing di+@”, to withdraw from を. I announce latest 9th album “SUPER VIEW” afterwards. The live broadcasting of KIRINJI LIVE2012 performed by re co-first memory was the contents which were splendid like a work. in 2013. Final chapter of KIRINJI as HORIGOME brothers. KIRINJI as a brother, last album “Ten” was also released on the 27th of March During the tour KIRINJI TOUR2013 is held start from Yokohama BLITZ the 10th of febulaly, 15 performances over 14 locations nationwide. The last tour, this, that as a brother = Kirinji Final answer echoed across the country along with the east wind in the last album release, not to mention Kirinji as brothers put an end to the history of ’17 with a last day NHK Hall performance . ”キリンジ” is newly to a new member as H.Takaki’s new project”KIRINJI” again It reproduces by the band organization which greeted Genichi Tamura / Hitoshi Kusunoki / Chigasaki Manabu/ Kotoringo/ Erino Yumiki. kIRINJI of a six-person group starts with the sun upon which it shines down brilliantly this summer.